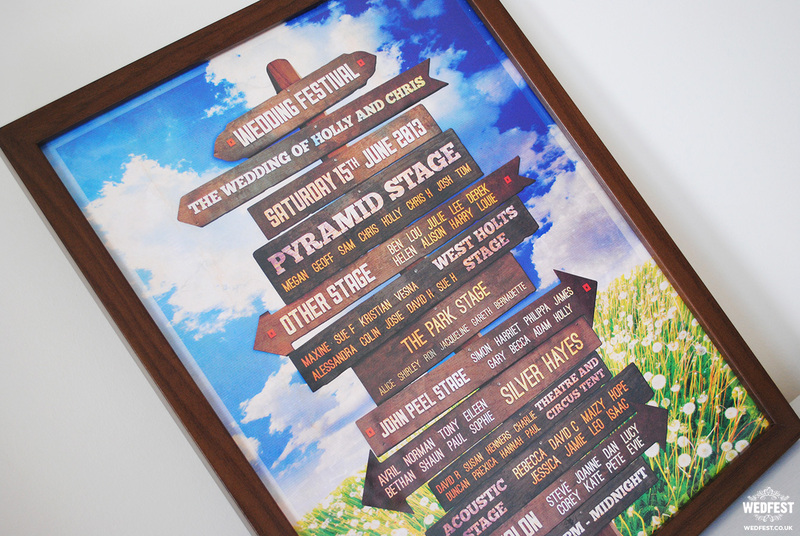 Festival Sign Wedding Seating Plan – if you have been at a major music festival you have most likely stumbled across some form of cool rustic wooden sign deep in a forest or in the middle of a field pointing you in the direction of the stage or festival area you are looking to go. These signs are always quite rustic and vintage looking and always 100% super cool! It’s no surprise therefore that they have worked their way into peoples weddings, not just festival weddings but all types of weddings and celebrations. People use them for all sorts of things such as welcoming signs, directional signs, running order information and much more, the list of things you can use them for is only limited by your imagination. 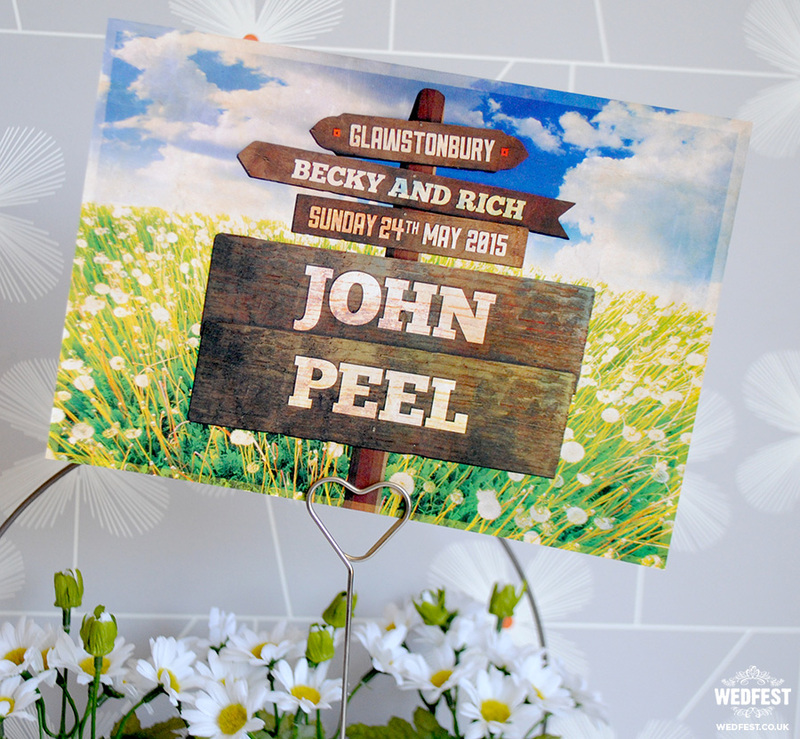 Of course here at Wedfest we have been a fan of the festival sign from day 1 and one of the very first wedding seating plans we designed here at wedfest was in the style of a wooden festival sign and it still to this day is one of our most popular table plan designs. 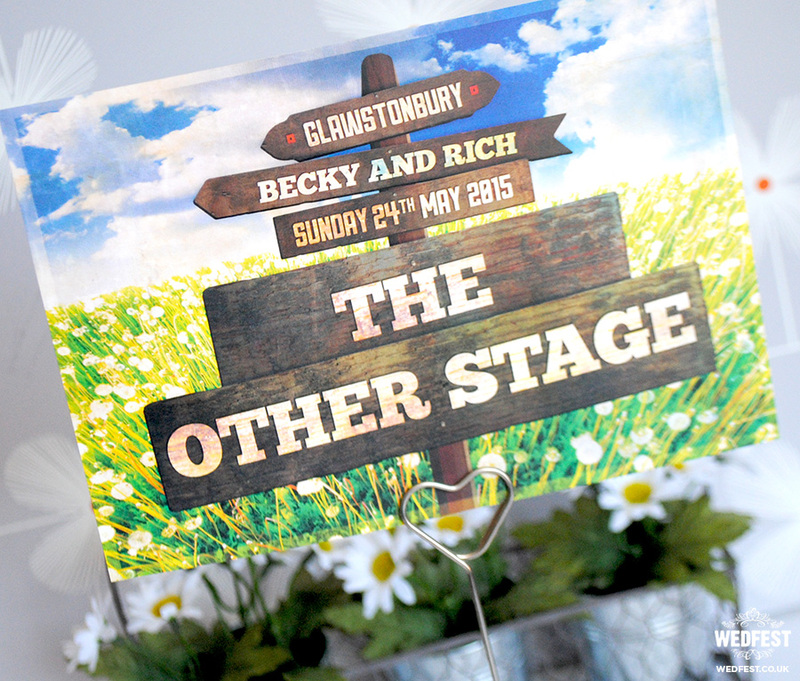 Just like this recent example below for Becky and Rich who got married a few weeks ago at their very own ‘GLAWSTONBURY’ festival. 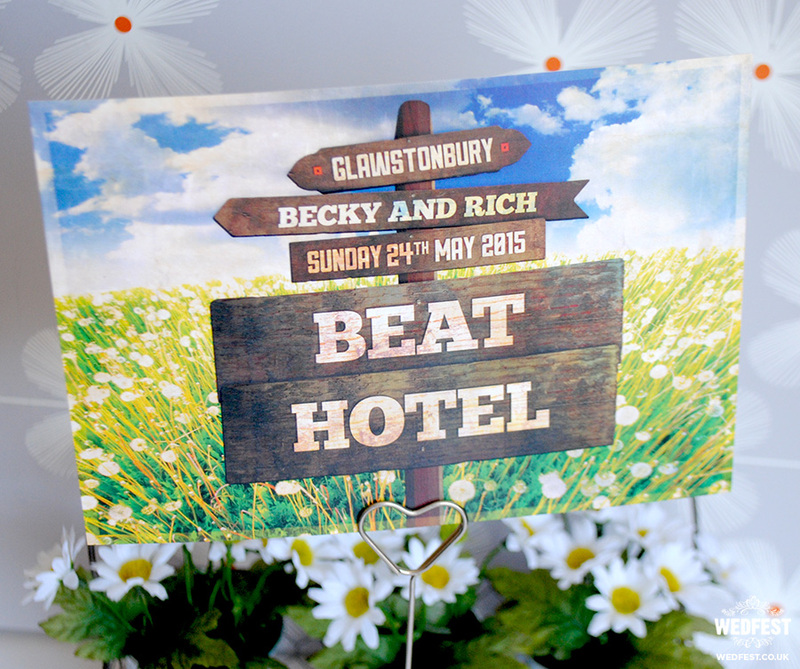 The couple named all their wedding tables after their favourite festival stage names so we then created matching wedding table number cards in the same festival sign design to match as can be seen in the photographs below. This table plan design is perfect for a festival themed wedding or any event that wants a rustic or vintage feel to it. It can easily be adapted to suit your needs and looks beautiful framed as seen in this other example below. 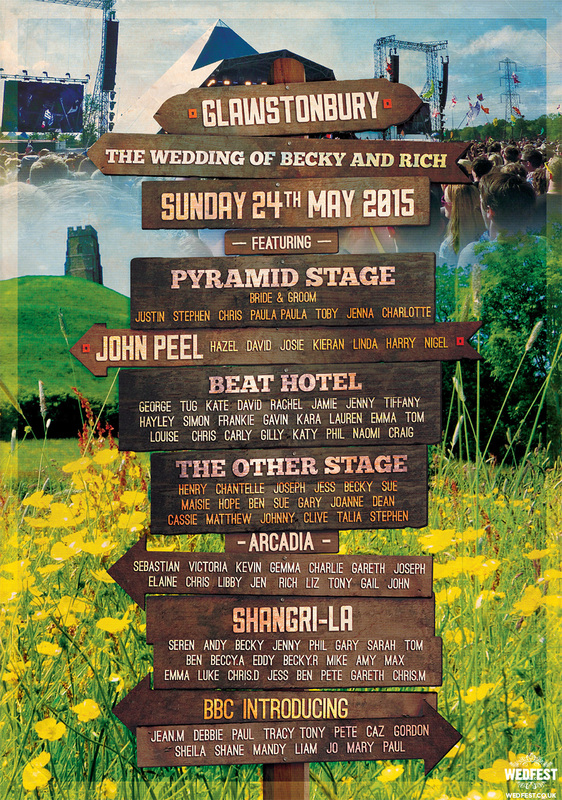 If you like the look of this festival wedding seating chart and wedding stationery and would like to know more about getting some super cool wedding stationery made for your wedding day or whatever type of event you are hosting please click here to get in touch.